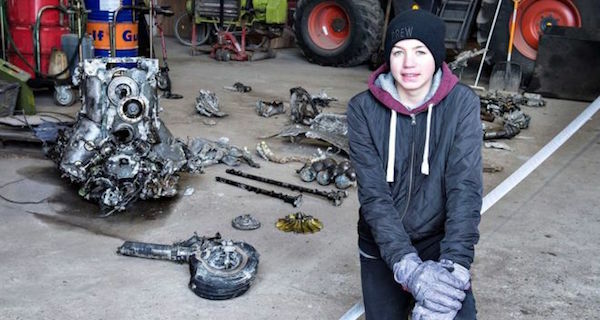 Daniel Rom Kristiansen's grandpa had always said a fighter plane had crashed on the family farm. No one believed him until this week. 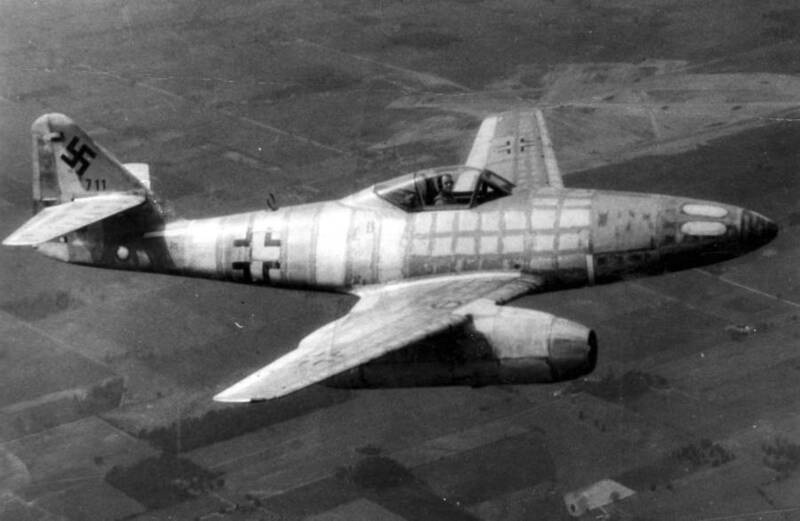 US AirforceMesserschmitt Me 262 Schwable, the world’s first jet fighter. When Daniel Rom Kristiansen started learning about World War II in school, his father, Klaus, had an idea for what he thought would be a fun little adventure. Neither father nor son suspected they’d find an entire German plane – with the pilot’s skeleton still in the cockpit. Daniel’s grandfather had always maintained that a warplane once crashed on the family farm in Birkelse, Denmark. The claim was ignored by everyone, dismissed as the normal exaggerations that sometimes come with age. When they started finding debris, they realized perhaps they should have given grandpa more credit. They borrowed a neighbor’s excavator and dug about 26 feet deep, eventually pulling up bones and scraps of cloth. “It was like opening a book from yesterday,” Daniel said. By yesterday, Daniel means November or December of 1944. According to Daniel’s grandfather, who has since passed away, Daniel’s grandparents had been making Christmas cookies when the plane crashed in the yard. Authorities believe the plane is a Messerschmitt fighter plane. Explosive teams are now working to secure any potentially dangerous materials while curators at the nearest historical museum are investigating the remains. The curator, Tom Sarauw, said they’d found the pilot’s papers and think they know his name. The pilot had flown into the farm from a training base in Aalborg. Along with the metal debris, they’ve uncovered his suit, hat, wallet, food stamps for the training base and three unused condoms. The pilot also had a book – “either a little Bible or Mein Kampf,” Daniel guessed. It is unreported whether or not Daniel received an A. Next, read about thousands of unknown Nazi “killing fields” were recently uncovered. Then, check out these 33 photographs of what “normal” life was like in the Third Reich.